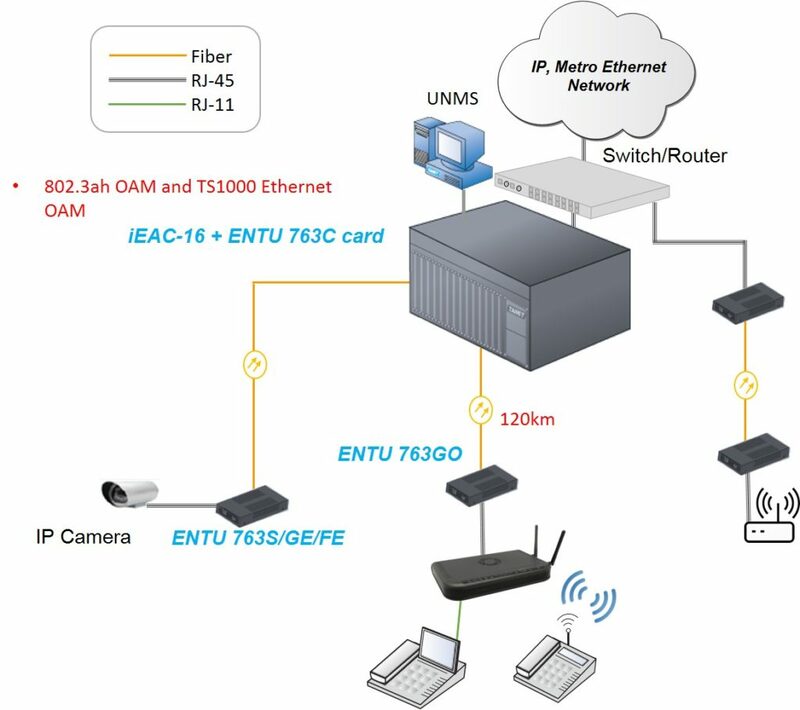 Tainet cooperates with Telecom Operators for the deployment of better fiber optic solution - Tainet Communication System Corp.
Media converter ENTU(Ethernet Network Terminal Unit) 763S/GE is so called Ethernet Access Devices (EAD) or Ethernet Media Data Converter (MDC). It is a manageable type media converter that is inter operable with iEAC-16 chassis. The transmission distance is up to 200km with SFP and support multiple SFP modules. With SFP DDM it is available to detect the status of the SFP. At the customer premise which allows the operator to reach customer over fiber, while still providing a standard Ethernet copper connection, and being part of the operator’s network, enables the converter to act as a demarcation point between the operator and the customer.